Dolphins swam alongside last year’s Prison Break competitors making the run from Prisoner’s Harbor to the Mandalay Buoy that much more memorable. VENTURA — The Ventura Sailing Club’s Prison Break regatta will hit the water Sept. 10-11 for its 12th annual run. Prison Break provides racers an opportunity to cruise the Santa Barbara Channel, hike and explore Santa Cruz Island and race back to the mainland. Participants will start from the anchorage at Prisoner’s Harbor on Santa Cruz Island in a LeMans Start before racing to the Mandalay Buoy. If there is no wind competitors can row, kedge-pole or tow their boats out of the harbor until the wind picks up to allow for sailing. Motoring is not allowed. Sailors will start from the spot where they chose to anchor from the previous night anywhere within Prisoner’s Harbor inshore of a line extending from the end of the pier west to the point marking the north western extent of the harbor. Competitors will take their own finish times using GPS time. Pre-race festivities begin in Prisoners Harbor on Sept. 10. The race is open to all racers. Entry fee is $30 for non-Ventura Sailing Club members; $20 for Ventura Sailing Club members. 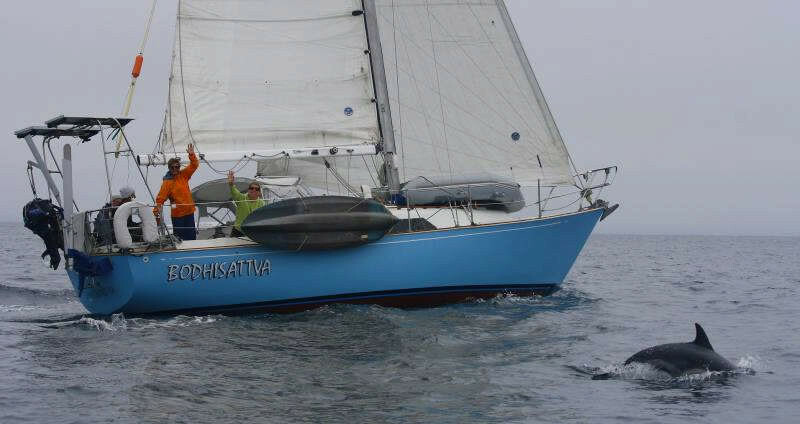 Entries will be completed at the Captain’s Meeting on Sept. 10 aboard the Islander 32, Halona. Visit venturasailingclub.org or contact Will Yount at 805-205-0999 or wjyount@yahoo.com for more information.